He’s made a few good signings over the years. And Darren Ferguson says John Marquis - linked this week with several Championship clubs - is up there with the very best of them. 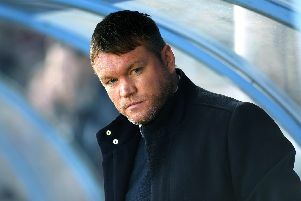 The Scot can list the likes of George Boyd, Lee Tomlin and Britt Assombalonga among those he plucked from relative obscurity and then made a huge profit on while he was in charge of Peterborough United. And, in terms of value for money, Marquis can now be added to that list after a sensational first season at Rovers. The 24-year-old striker, who joined as a free agent last summer after leaving boyhood club Millwall, has netted 26 goals so far this term - doubling his career tally in the space of less than a season. “Yes, he is [one of my best ever signings],” said Ferguson. “He’s a good character. “Every day in training he’s at it. He can be a pain in the a*** but he’s a good lad, I like him. “He’s at it. I like him because he challenges you and you need to be switched on and you need to be prepared. He wants it done right. “He’s been perfect for what we needed, not just out on the pitch but the way he leads by example on the training ground and the way he is in the dressing room. “I would have to say yes [he’s one of the best signings I’ve made]. “You buy players, bring them into the club and you might get a bit of praise off people saying ‘that’s a good signing’ but it’s up to the players to buy into what you do. “That’s my job, to get the players to do that. And I think they have done, the players that we’ve signed have all done that. Reports this week have linked Norwich City, Ipswich Town, Blackburn Rovers, Bristol City, Barnsley and Sheffield United with a potential summer swoop for Marquis, who has one year left to run on his current deal at Rovers.